2017 Crestliner 1850 Commander Check out twenty feet of open water dominance. This all welded aluminum fishing boat is built with the kind of features anglers look for. Like an aluminum console, ample rod and livewell storage and a heavy duty windshield, for starters. 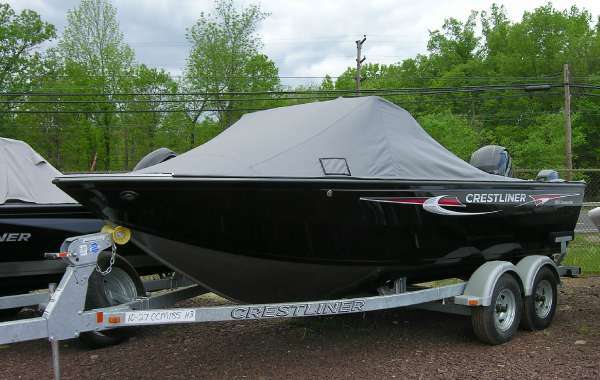 Add on other options like a heavy duty canvas roof, a comfortable side bench seat or washdown system for easy cleaning and youre all set to command the open water. Please note: This boat model may or may not be in-stock. A Nationally Advertised Price, if listed, may change without notice or include accessories not fully described herein. Please contact your local, authorized dealer for exact details on model availability and package pricing. 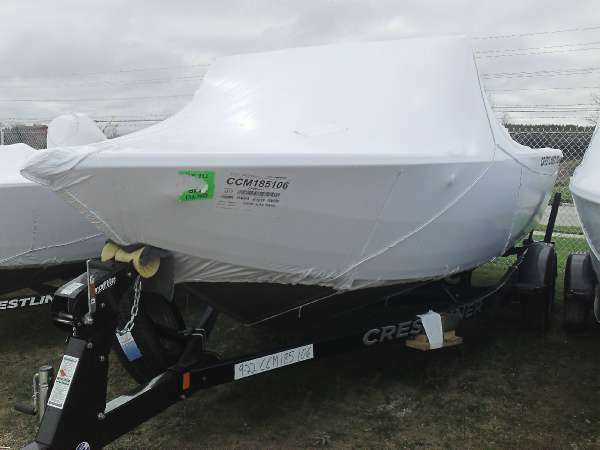 2017 Crestliner 1850 Commander Check out twenty feet of open water dominance. 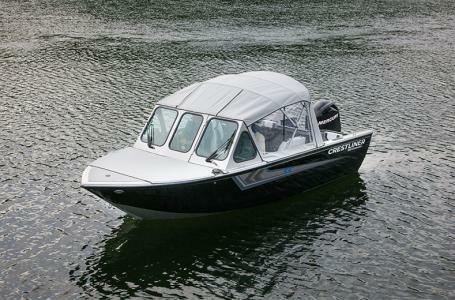 This all welded aluminum fishing boat is built with the kind of features anglers look for. Like an aluminum console, ample rod and livewell storage and a heavy duty windshield, for starters. 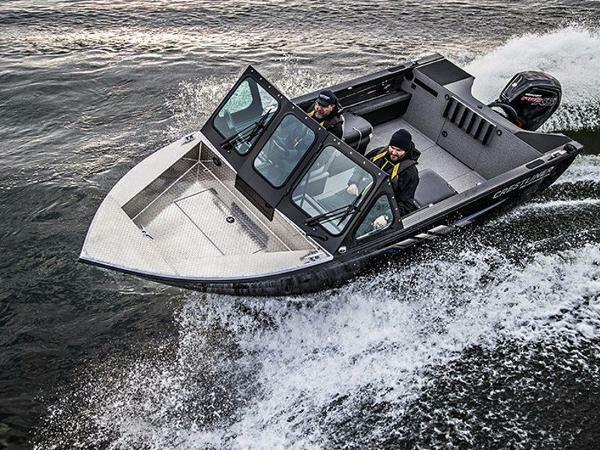 Add on other options like a heavy duty canvas roof, a comfortable side bench seat or washdown system for easy cleaning and you’re all set to command the open water. Please note: This boat model may or may not be in-stock. A Nationally Advertised Price, if listed, may change without notice or include accessories not fully described herein. Please contact your local, authorized dealer for exact details on model availability and package pricing. 2017 Crestliner 1850 Commander Elite The Crestliner Commander Elite 1850 is tough enough to stand up to whatever Mother Nature throws at it. Bad weather, big waves; this resilient fishing boats all-welded aluminum hull can take the beating and keep moving towards your favorite fishing spot. The Commander Elite 1850 offers a full slate of fishing features like ample rod and livewell storage, SeaStar hydraulic steering and a bow step-up box that allows easy bow access while providing more storage space. For open water fishing, theres simply no comparison to the Commander Elite 1850. Please note: This boat model may or may not be in-stock. A Nationally Advertised Price, if listed, may change without notice or include accessories not fully described herein. Please contact your local, authorized dealer for exact details on model availability and package pricing. 2017 Crestliner 1850 Commander Check out twenty feet of open water dominance. This all welded aluminum fishing boat is built with the kind of features anglers look for. Like an aluminum console, ample rod and livewell storage and a heavy duty windshield, for starters. 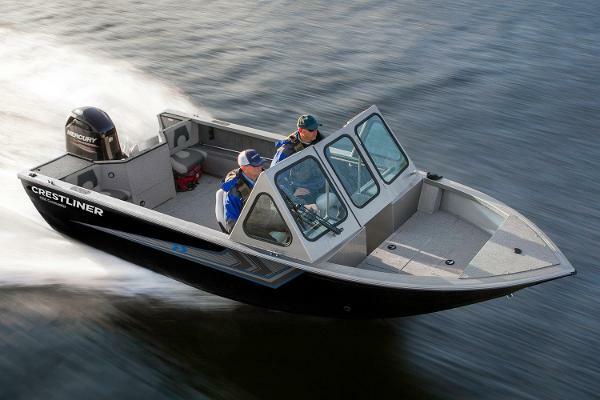 Add on other options like a heavy duty canvas roof, a comfortable side bench seat or washdown system for easy cleaning and youre all set to command the open water. 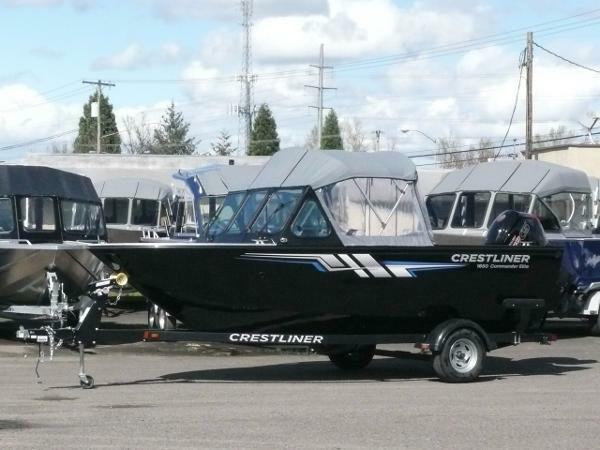 THIS ORDER OUT BOAT PACKAGE INCLUDES: 2017 CRESTLINER 1850 COMMANDER , MERCURY 90EXLPT 4STK MOTOR, (UPGRADE AVAILABLE) 2017 SHORELANDR CRV30BLW BUNK TRAILER Please note: This boat model may or may not be in-stock. A Nationally Advertised Price, if listed, may change without notice or include accessories not fully described herein. Please contact your local, authorized dealer for exact details on model availability and package pricing. 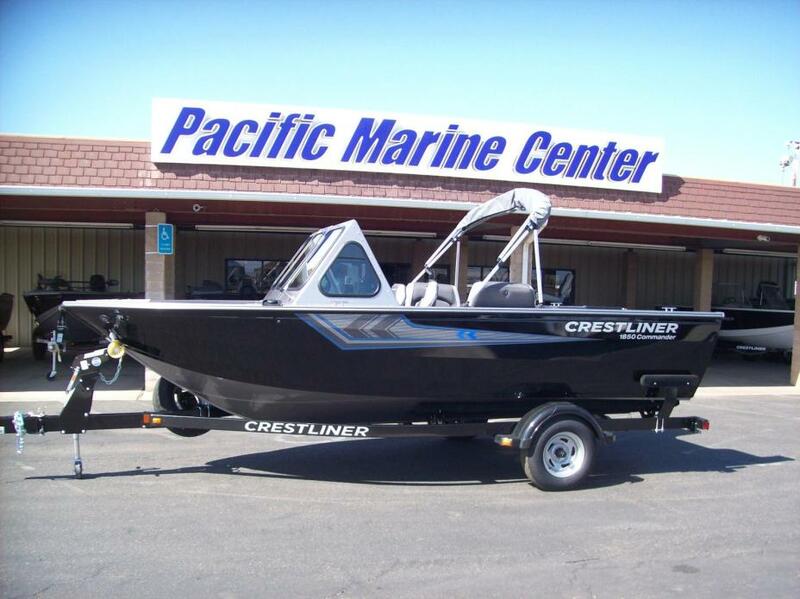 2016 Crestliner 1850 Commander In a class of its own, the Commander is a fully-loaded fishing machine and big water champion. 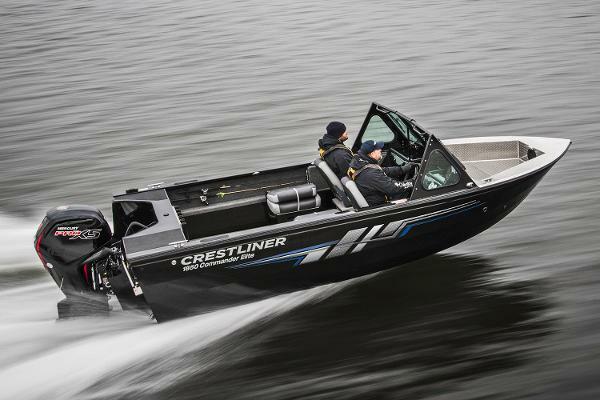 With Crestliner’s legendary all-welded aluminum hull construction, this boat is purpose-built to unleash the fisherman in you. And you’ll find ample storage and amenities to make every launch a day full of fishing. 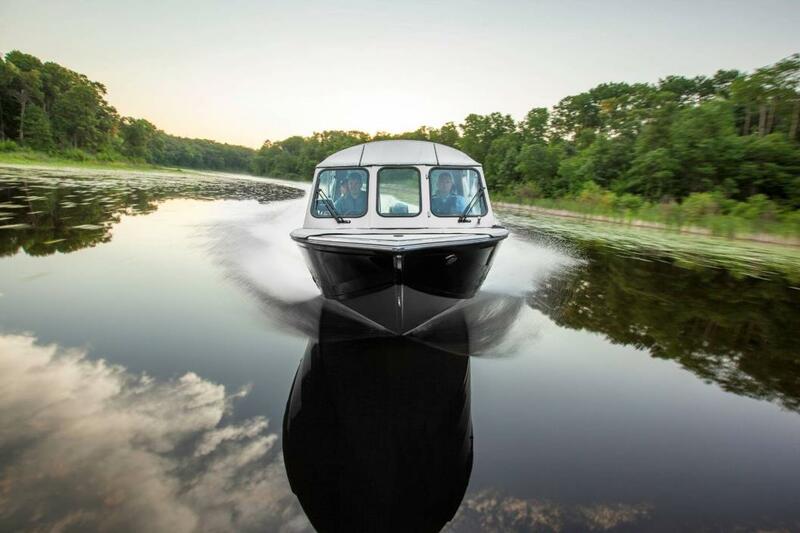 Experience high and dry comfort while you and your crew are on the chase with a whole new breed of boat –the Commander from Crestliner. Please note: This boat model may or may not be in-stock. A Nationally Advertised Price, if listed, may change without notice or include accessories not fully described herein. Please contact your local, authorized dealer for exact details on model availability and package pricing. 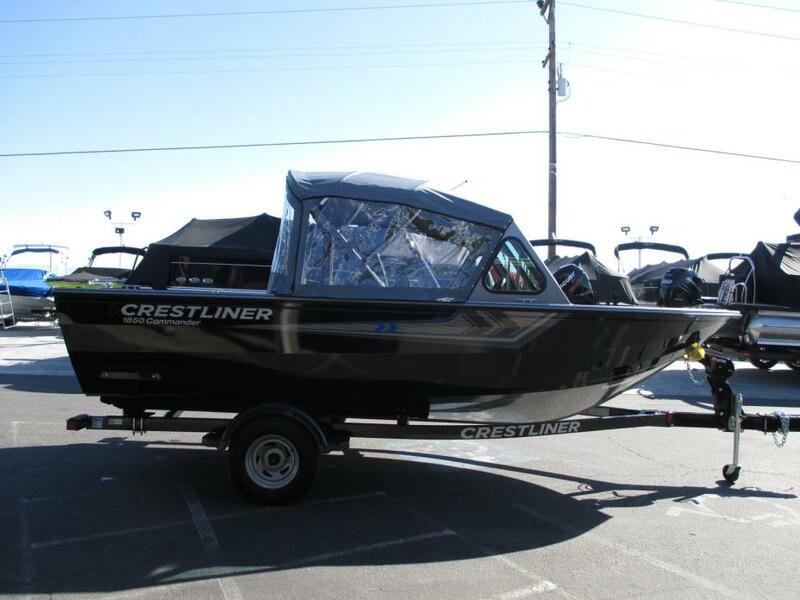 2015 Crestliner 1850 Commander The most rugged built boat of all the Crestliner models, the 1850 is designed to withstand any obstacle. We've rigged this 1850 with a Mercury 150HP 4-stroke, Mercury 9.9HP 4-stroke kicker motor with hydraulic steering, galvanized trailer with radial tires and a spare, windshield wiper, removable aft seats, (2) down rigger brackets, washdown system, fish box for in floor storage system, swim ladder, suntop with boot, and a custom travel cover. Price does not include tax, tags, dealer freight or prep. - 1850 Commander 150 hp Merc 4-stroke and 9.9hp Merc 4 stroke kicker and tr.